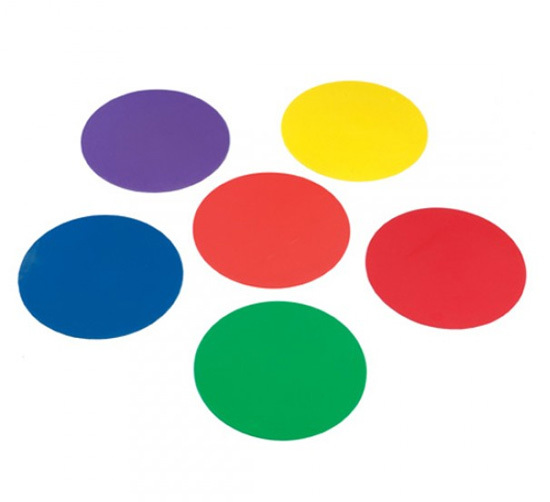 Set of 6 10" diameter assorted coloured sequencing discs. These are ideal for teaching positioning skills for sports and athletic activiities. The discs or spots as sometimes known can be used to designate court positions or mark distances. The special textured back ensures the flat rubber discs stay in place.